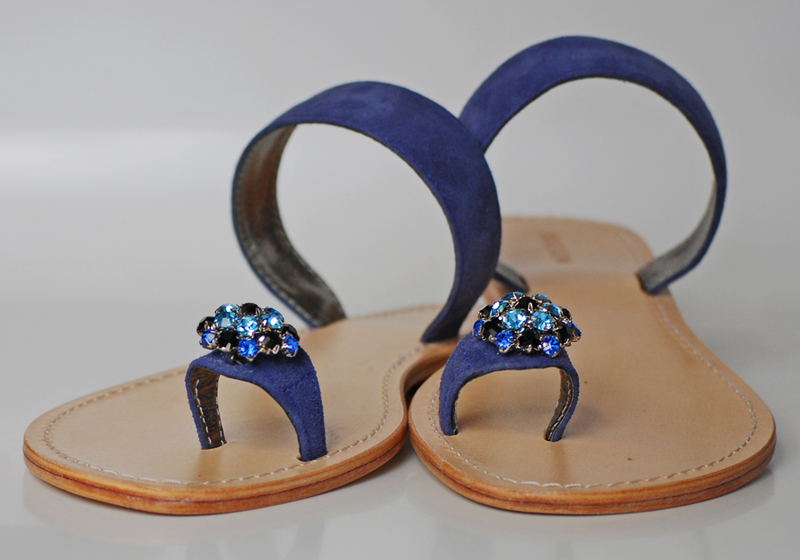 Another addition to my summer shoe closet: these glamorous ring toe sandals. 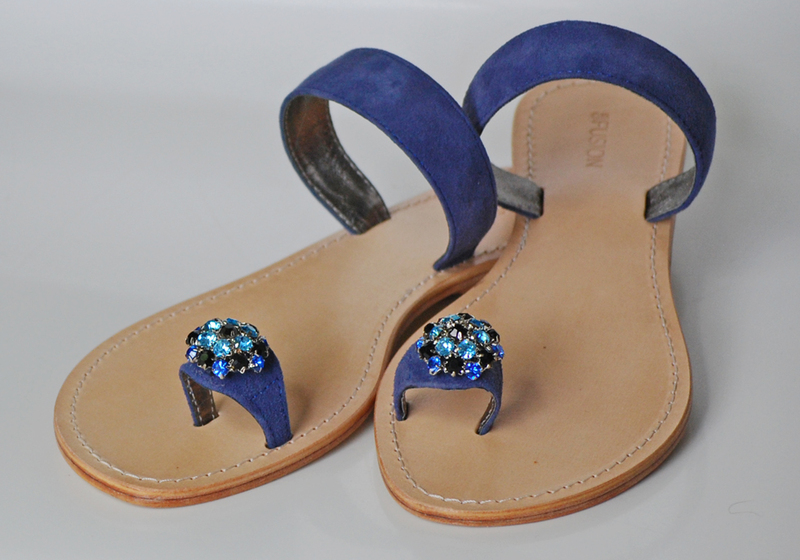 When it comes to high summer sandals I've said goodbye to regular flit-flops a few years ago. 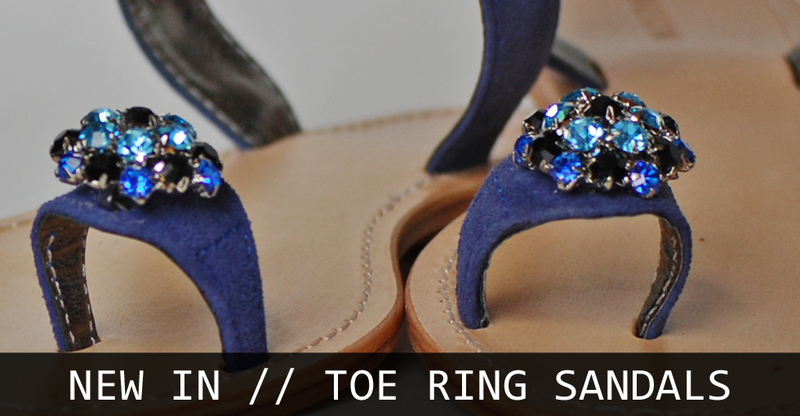 Instead I'm constantly on the hunt for a perfect pair of so called toe ring sandals. 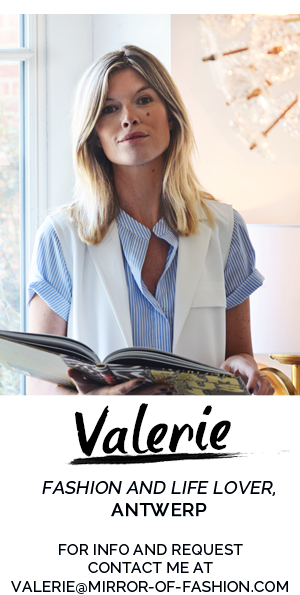 Remember my Veronique Branquinho pair? Last week I shared with you my new bling bling version. 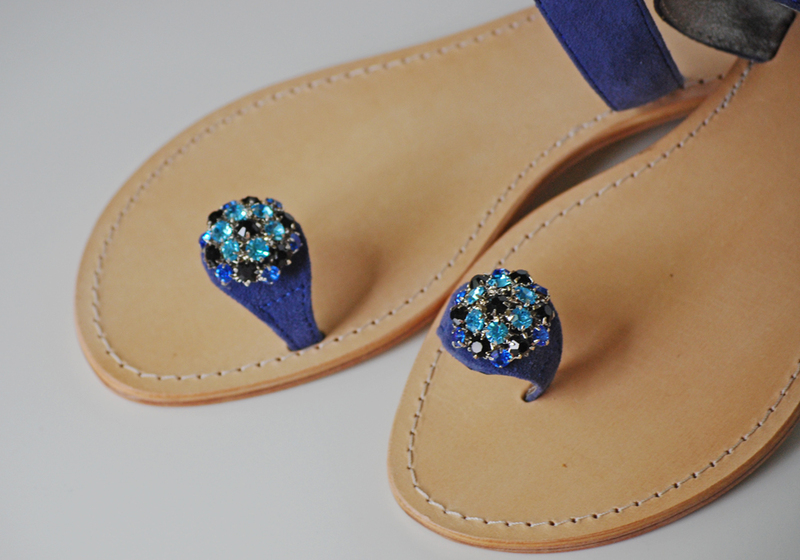 Today I'm introducing you to this lavender twosome decorated with beautiful blue and black crystals on top. I'm planning on wearing them vacation to city, non stop. 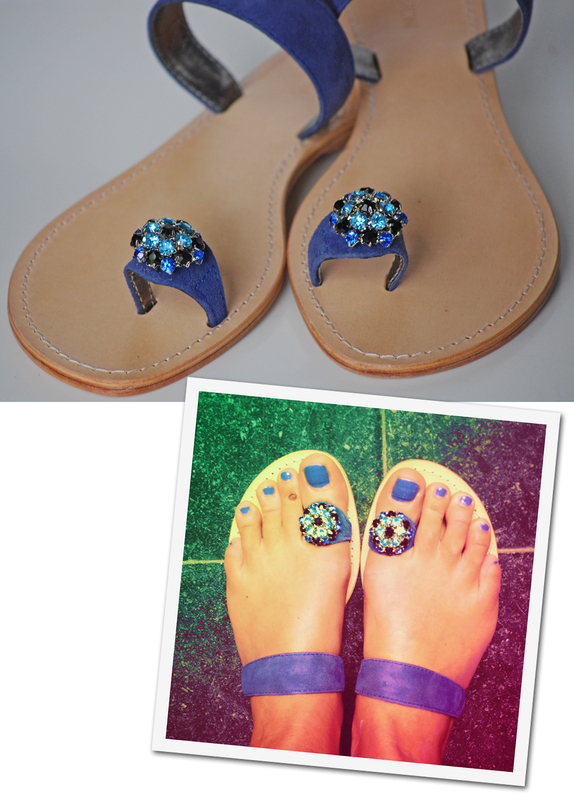 I'd like to know where did you buy this gorgeous sandals! !